I’m very excited to introduce you to a new resource to help you teach your kids about the truth of Christ’s Resurrection! Today, blogger and author Katie Orr is answering some questions about her Easter devotional guide for families. Find More Jesus is an eight-day Easter celebration designed to start on Palm Sunday and geared toward families with younger children. It can also be used for family devotions as well! Palm Sunday is next Sunday, so you still have time to pick up a copy and gather your supply list! 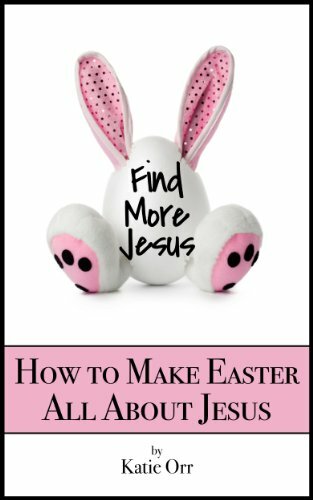 HIVE RESOURCES: Why did you write Find More Jesus: Make Easter All About Jesus (Christ-Centered Traditions)? KATIE ORR: I was first inspired by a cute little board book I found at the library. I loved how they used different color easter eggs to tell the real story of Easter. So, the idea was sparked, and I was off to create our own fun and meaningful Easter eggs! 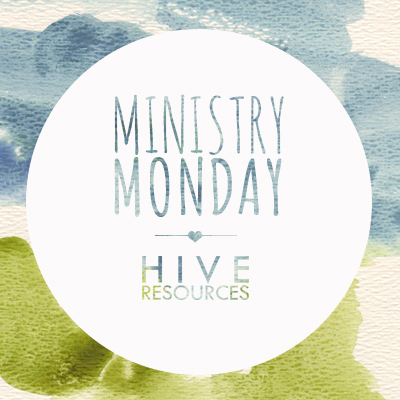 HIVE RESOURCES: How do you use “Find More Jesus” in your own home? Does a daily reading occur as a family, one-on-one, in the morning or evening? KATIE ORR: We do a reading together as a family each day, starting on Palm Sunday. Some days we do it in the morning, some in the afternoon, and some days it is right before bedtime before we get to it! The reading and activity usually take less than 10 minutes, so it is easy to squeeze it in on the busy days, with room to take more time as the kids have questions. HIVE RESOURCES: The significance of the Resurrection can be a little abstract for younger children. How does your devotional help little ones understand the Resurrection in concrete ways? KATIE ORR: Great question! I think it is most important for our children to understand the WHY behind the Resurrection, and not the HOW, so we focus on our sin problem, and how Jesus — through His death, burial, and resurrection — is the answer to that sin problem. This is done by using fun little “props” and activities that help my children understand the reality of their sin, the problem with that sin, and their need for Jesus to come and wipe those sins away! HIVE RESOURCES: How does your devotional help parents take the focus off of the commercial trappings of the holiday and put it on Christ? KATIE ORR: The plan is fun and easy, yet incredibly intentional. The gospel — the good news of Jesus — is made clear throughout the week. Each day is Jesus-focused and gospel-centric, all the while using the Easter basket, a well-loved Easter tradition. HIVE RESOURCES: In your book, you share that your family does not incorporate the Easter Bunny in your holiday traditions. Besides the devotional, what other Easter traditions do you use in your home to celebrate Christ’s resurrection? KATIE ORR: We have tried all sorts of things! We like to do Family Life’s Resurrection Eggs , mingled in with the typical Easter-egg hunt on Sunday afternoon. One year I baked a chocolate cake, on top of which (without frosting) we placed a tomb we made out of oven-bake clay. The night before Easter we took our gauze-wrapped Jesus, from our Find More Jesus celebration, and put him in the tomb. That evening, I frosted and decorated the cake, placed the now-empty tomb on the cake, and the kids woke to a bright a cheery “He is Risen!” cake. I also like for the kid’s to wear something that says “He is Risen!” on Easter morning. This takes the focus off of what they are wearing, to the real reason for our celebrations that morning! 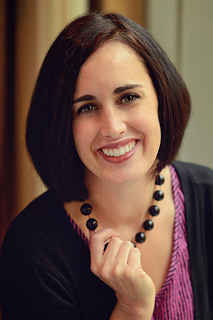 Katie Orr describes herself as a grace-clinger, truth-speaker, pastor’s wife, mommy of three, and Auburn fan. She is the director and managing editor of the Hello Mornings blog. She is also the author of the Quench Bible Study Series including Abounding Hope . You can connect with Katie on Twitter and her blog. For info about the affiliate links in this post, click here. Like the idea of ‘He is Risen’ wearing. i know, isn’t that the coolest idea? Thanks for letting me hang out here today, Melissa! Katie – it was my honor! Love the book and excited to start it this Sunday with the kiddos! How fun! Thanks for sharing with us Katie!